I think it would have to be “Killers” because I was younger and more impressionable. Not to mention the fact that I would stare at it for hours wondering about all the shady happenings in the windows behind Eddie and his victim (click on image for a larger view of some of the window crazies). And, if I were forced to choose a single album cover it would have to be “Aces High,” Eddie as a WWII fighter pilot confused me for years after wards, I mean wasn’t he a murderous monster? 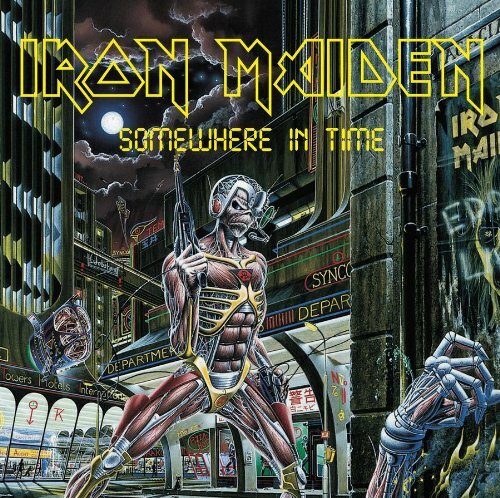 Update, I maye have to reprise my Aces High idea after re-discovering the “Somewhere in Time” single album cover, a little bit of “Maiden Runner”? This entry was posted in music, Uncategorized and tagged Ace High, Album Covers, Iron Maiden, Killers, Number of the Beast. Bookmark the permalink. For what it’s worth, Piece of Mind is by far my favorite Iron Maiden album (how did I lose that vinyl? )… And Powerslave is my favorite concept album, especially as that concept relates to live show. 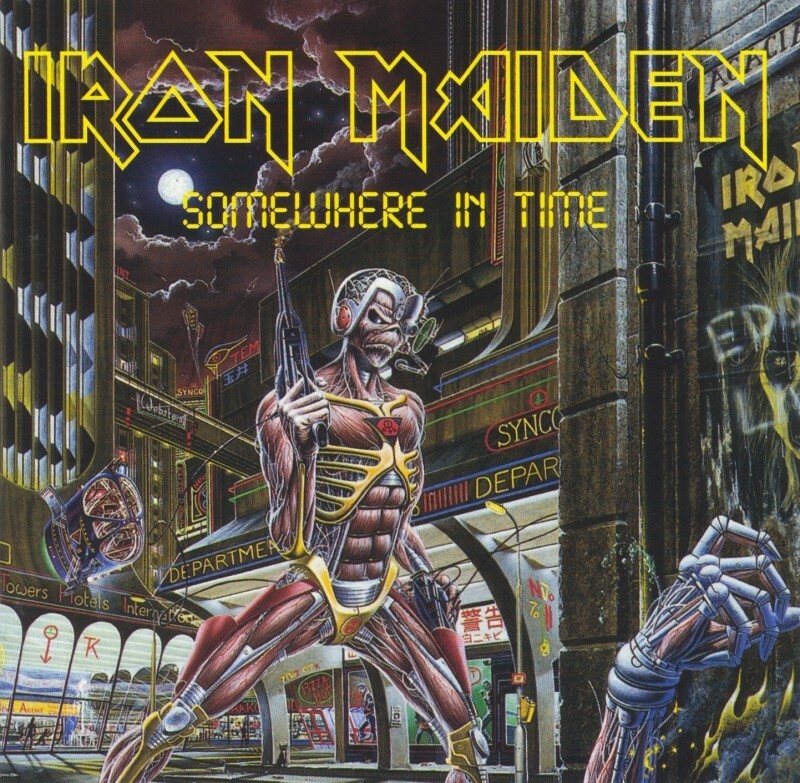 They were a pretty kicking live act in the degraded but still potent “Somewhere in Time” tour in 1988. I remember seeing that cover for Killers in my cousin’s bedroom when I was like 11 years old. Like you, I stared at it for hours. One of those experiences that really did warp me for life. I just had to listen to the record. Maybe the cultural conservatives have a point. I remember drawing Eddie with the axe all the time in my notebooks. But musically speaking, “Number of the Beast” was the best album. But “Piece of Mind” is a close second with staggering cuts like “Trooper” (the archetypal Maiden song, IMO) and the operatic “Flight of Icarus”. When you look back at most of the 80s heavy metal, Iron Maiden is one of the few bands that holds up. Much like AC/DC, they had an aesthetic stasis that made them seem more real than the Dokkens, Metal Churches, and Ratts of the world. Yeah, that album cover of Killers was wild when I first saw it in my basement. My brother and his friends would play in band down there at night, and I would sneak in during the day and play Atari 2600 and look at the album. Eventually I got a poster of Killers, and it became treasure I did manage to hold on to. 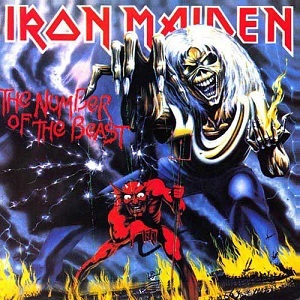 As for the albums Piece of Mind was excellent, but I, like @Gerry, put “Number of the Beast” at the top of the list because I thought “Run to the Hills” was an important song when I was 11 or 12. I mean the whole idea of singing about the decimation of Native Americans was new to me then. And “22 Acacia Avenue” was wild one, a kinda new concept for me at the time, which prepared me for LL Cool J’s “Bistol Hotel” track on another 80s classic “Bigger and Deffer.” But, I have to admit that it was the “I am not a number, I am a free man” sound clip from The Prisoner that solidifies that album as one of the most important for me. Because of that album I found out what The Prisoner was, and went off and got lost in that world, though it would be years later until I would actually be able to see the series through. 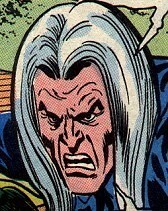 There is no question that the aesthetic was key to my interest in Maiden, aided by the fact my older brother loved them. And AC/DC went a step further in my mind with the mythology around Angus Young. My brother and his friends would sit around and tell me stories about how crazy they heard he was from other kids. He was something of a hero to my brother, but no so much because he knew all the details (he did love the music), but he liked even more to talk about Angus Young. Outside of Angus he loved to play arguably one of the greatest rock albums of the 70s: “Powerage”. The discussions of Bon Scott and his death were a whole ‘nother ordeal for my brother, along with “Powerage” he loved “’74 Jailbreak” –and by extension I would listen to both of them again and again because we shared a room. 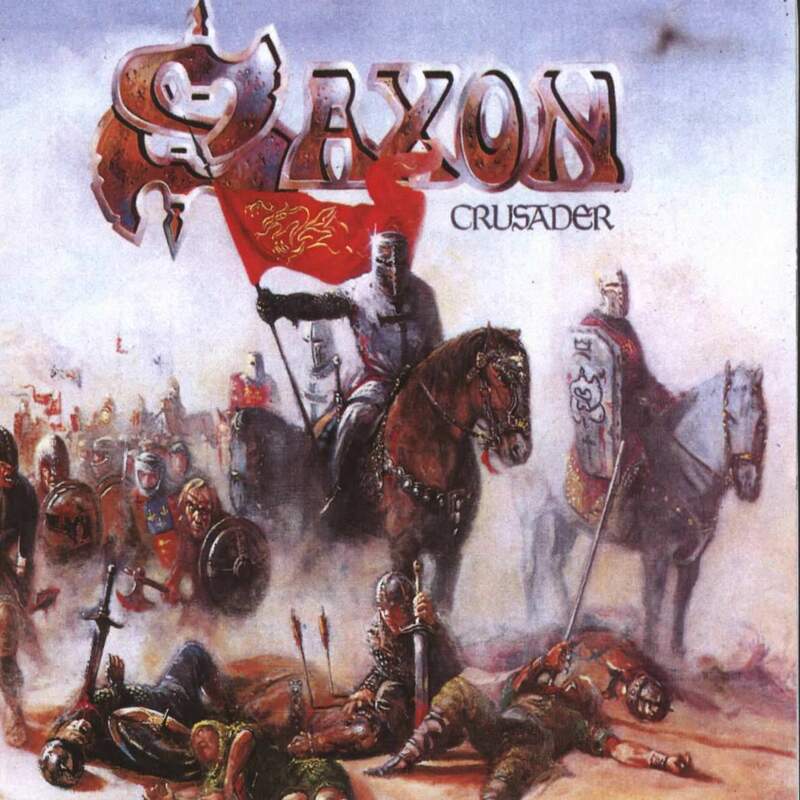 With a bit of Saxon’s “Crusader” thrown in for good measure, another impressive album cover that crossed-over well with my D&D fascination. I have to go with Powerslave and Somewhere In Time – I bought them on Vinyl at the time and spent ages pouring over the amazing detail and all the cool hidden messages and items that referenced other songs and Maiden lore. Chalk another vote for Powerslave. Great concept out of which the classics ‘Two Minutes to Midnight’ and ‘Aces High’ were born. Eveything has gone… the posters, the 80s… and even my old friend (I met him quite rarely right now). I have to say this blog is given to nostalgia, it is a weakness and a strength 🙂 BTW I am fired up you commented here, for I am a huge fan of your aggr plugin, thanks for all your work with this 🙂 Also, Viva Italia!